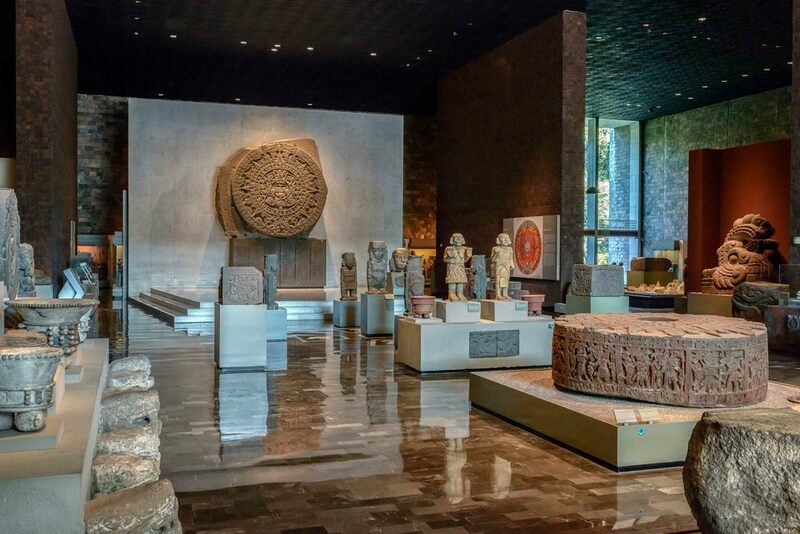 The Museo Nacional de Antropología (MNA, or National Museum of Anthropology) is a national museum of Mexico. 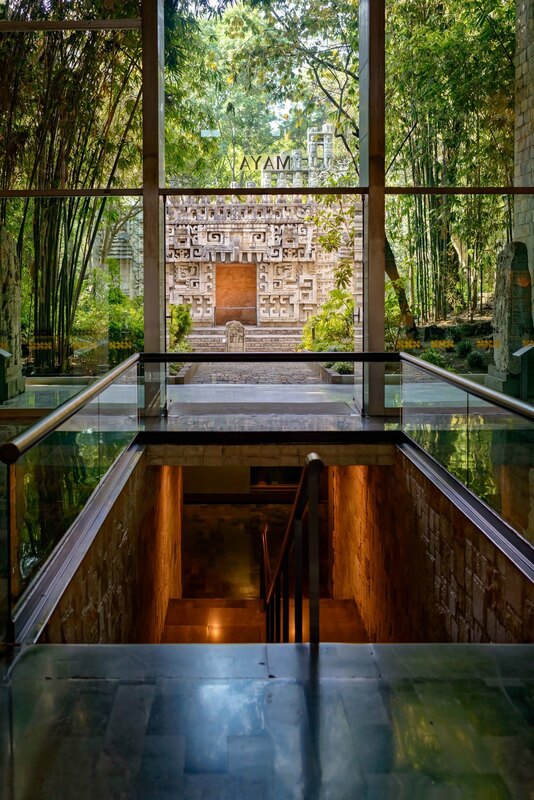 It is the most visited museum in Mexico. 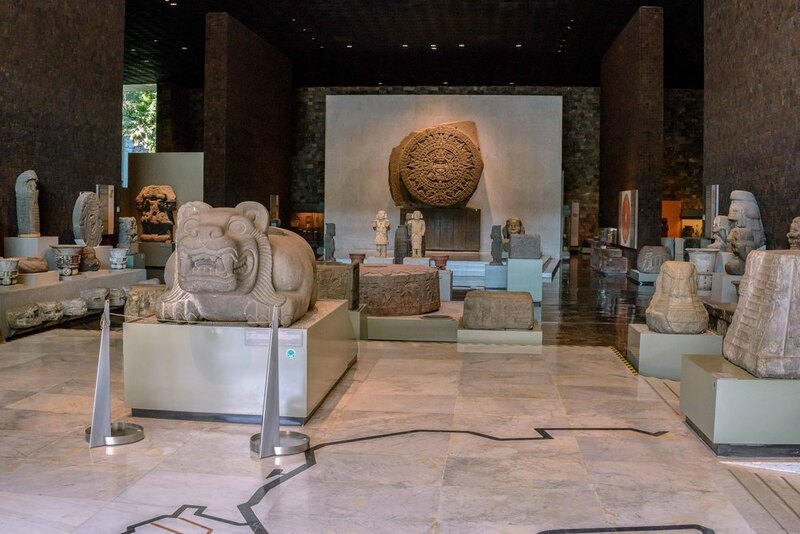 Located in the area between Paseo de la Reforma and Calle Mahatma Gandhi within Chapultepec Park in Mexico City, the museum contains significant archaeological and anthropological artifacts from the pre-Columbian heritage of Mexico, such as the Stone of the Sun (or the Aztec calendar stone) and the 16th-century Aztec statue of Xochipilli. Tlaloc statue of the god of rain, fertility, and water, outside of the museum. 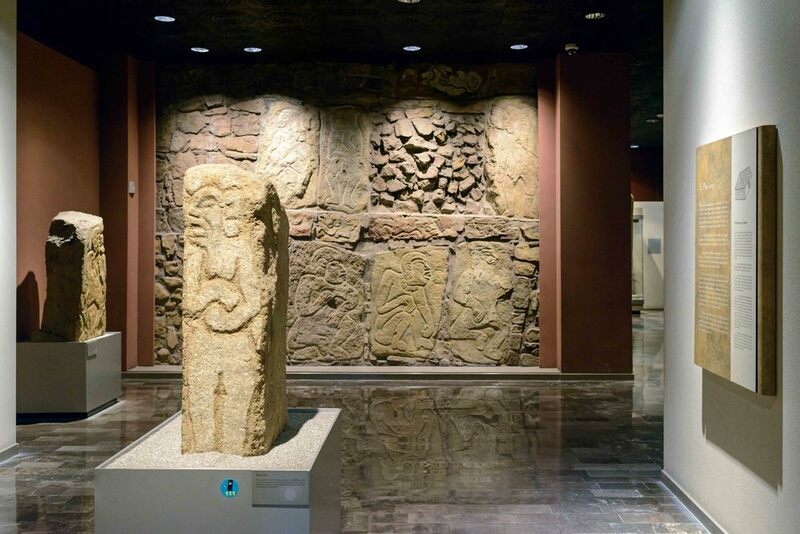 Entrance to the "Mexico Section" with one of the highlight of the museum the original Aztec "Stone of the Sun" in the back. 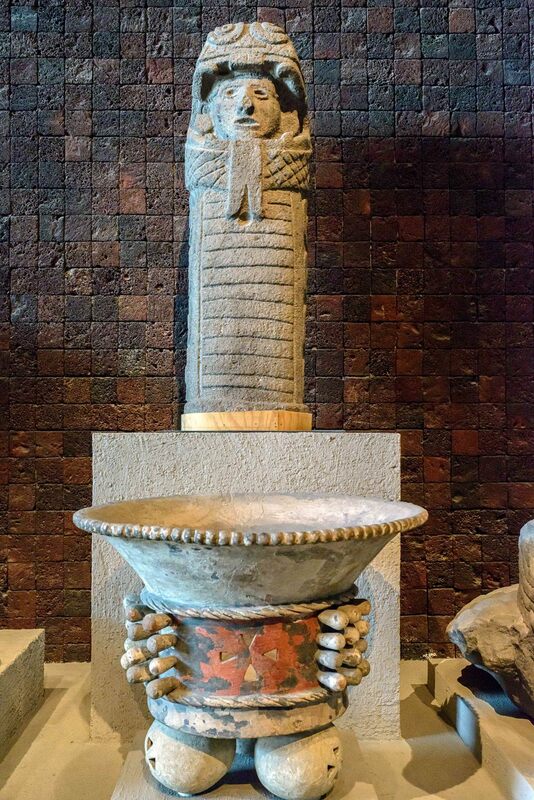 In the front left is a Cuauhxicalli (meaning "Eagle gourd bowl"), an altar-like stone vessel used by the Aztecs to contain human hearts extracted in sacrificial ceremonies. A cuahxicalli would often be decorated with animal motifs, commonly eagles or jaguars. 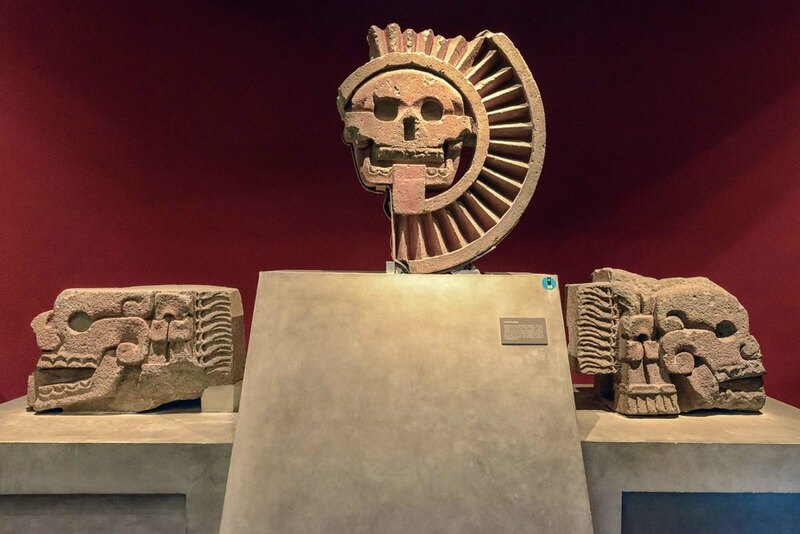 The Teocalli of the Sacred War (teocalli is Nahuatl for "temple"; Spanish: El Teocalli de la Guerra Sagrada) is the name given by archaeologist Alfonso Caso to a monolithic pre-Columbian miniature of an Aztec temple, thought by some to have served as a throne. This monument was ordered by Moctezuma II to commemorate the New Fire of 1507. The symbolism relates to the cult of the sun and the idea of sacred war. The Sacred War was an institution by which victims were obtained for sacrifice in the temples. This monument was found underneath the National Palace. Tlaltecuhtli tombstone. Fine bas-relief representing the earth monster lurking in its characteristic position and head thrown back. 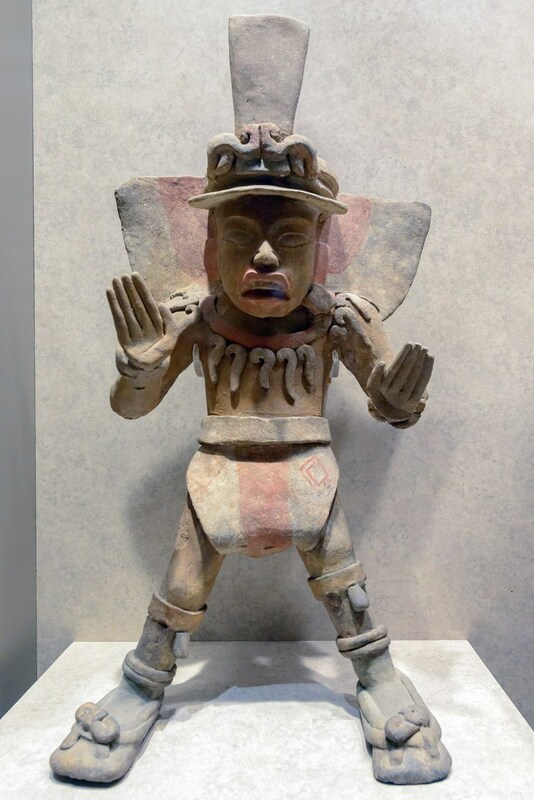 The figure is adorned with anklets with bells and precious stones and wears a skirt decorated with skulls and crossbones.In the center is the jade or chalchihuite glyph, symbol of the preciousness. 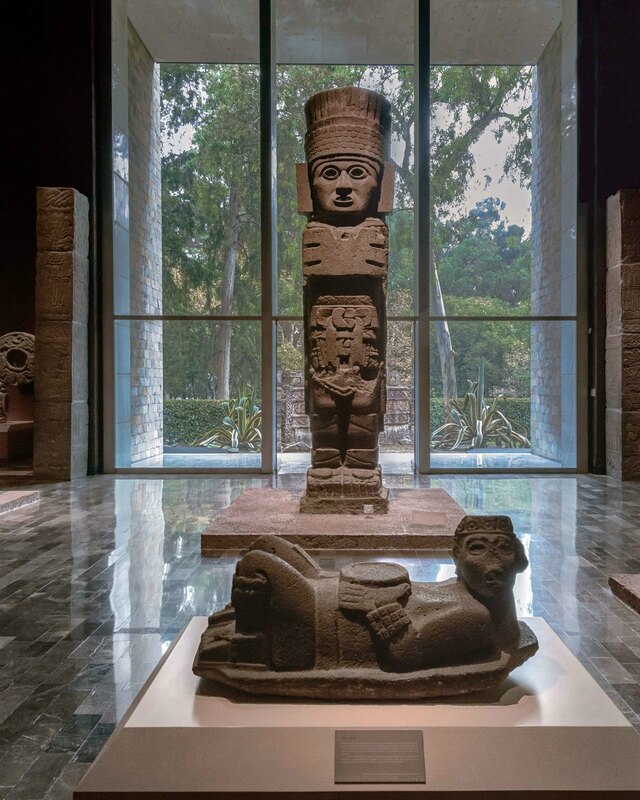 On the left the statue of the Goddess Coatlicue and on the right the sculpture image of this young god who could correspond to the representation of his son, Huitzilopochtli. 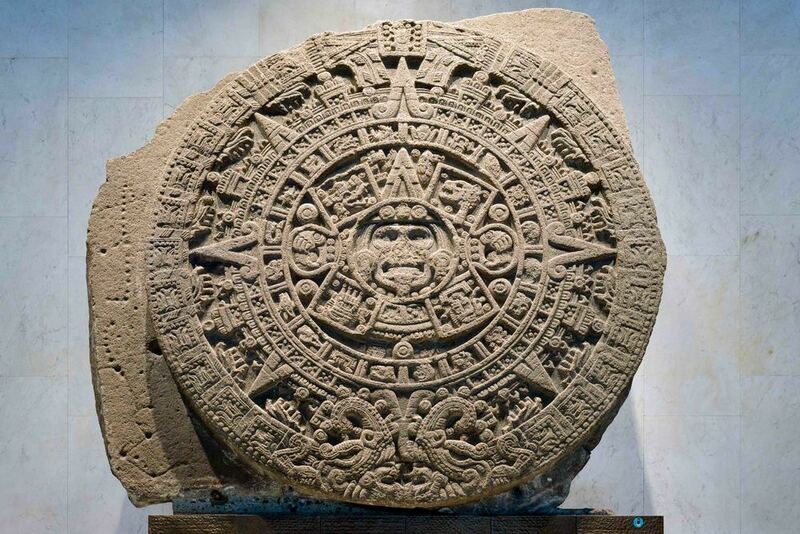 The Aztec Calendar Stone, Sun Stone, Piedra del Sol, or Stone of the Five Eras is a late Post-Classic Mexica sculpture, and is perhaps the most famous work of Aztec sculpture. The stone is 358 centimetres (11.75 ft) in diameter and 98 centimetres (3.22 ft) thick, and it weighs about 24 tons. On the right side of the original "Stone of the Sun" information are given: The one sculpture which identifies the Mexican above all others is the Stone of the Sun, discovered in December, 1790, in the Plazza Major of the capital New Spain. 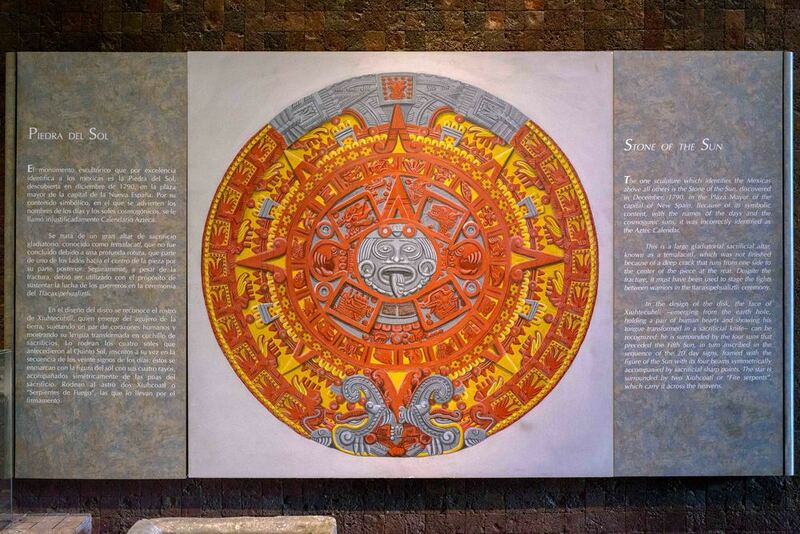 Because of its symbolic content, with the names of the days and the cosmogonic suns, it was incorrectly identified as the Aztec Calendar. Xiuhcoatl. 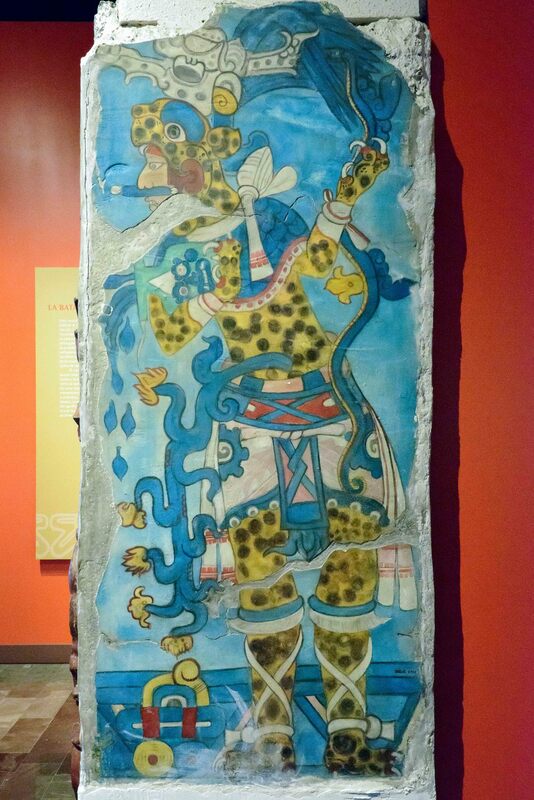 In the Mexica cosmogony, the fire serpent Xiuhcoatl constituted the principle weapon of the god-sun Huitzilopochtli. This mythic animal was in charge of leading the sun across the sky and may be indentified by its reptile body with strong lizard-like extremities, as well as a horn which protrudes from its nose. 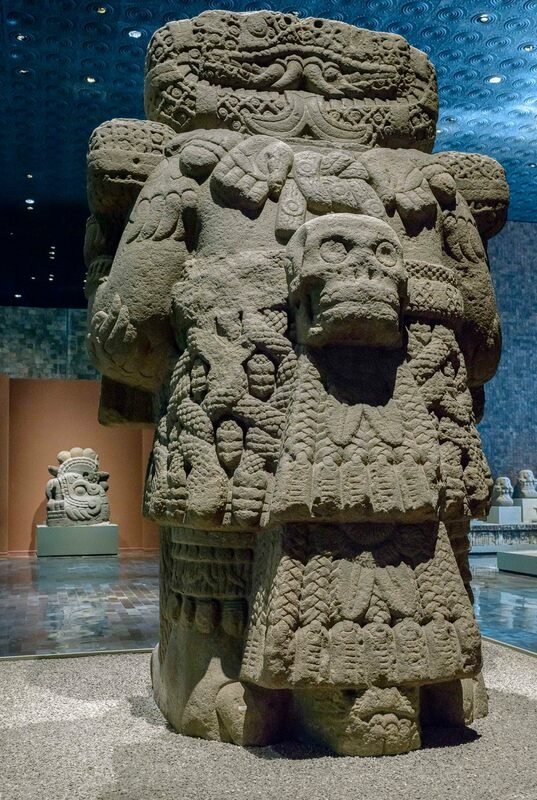 The Coatlicue statue is a 2.7 metre (8.9 ft) tall andesite statue usually identified with the Aztec goddess Coatlicue ("snakes-her-skirt"), mother of earth. On teh top the Deity of Death "Seven Flowers" d below the brazier with "Deity of Death". Huastecos Priest. 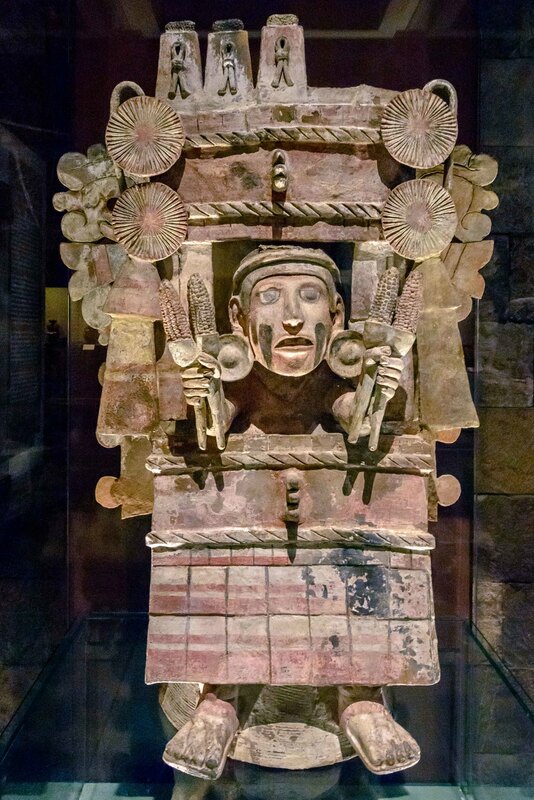 In some buildings with sacred enclosure, the Aztecs placed great ceramic figures framing entries. This is the case of these images of characters dressed in headgear and earmuffs unspun cotton, characterful mothers of Huastec origin goddesses. Relief of the death of the sun. The deeper meaning of fear, the end of the solar cycle, is expressed in this, unfortunately incomplete sculptural fragment, where you can see the sun, resembling a warrior who wears stellar sandals. Relief depicting a procession of warriors. Replica of an Aztec codex. Chac Mool in front. 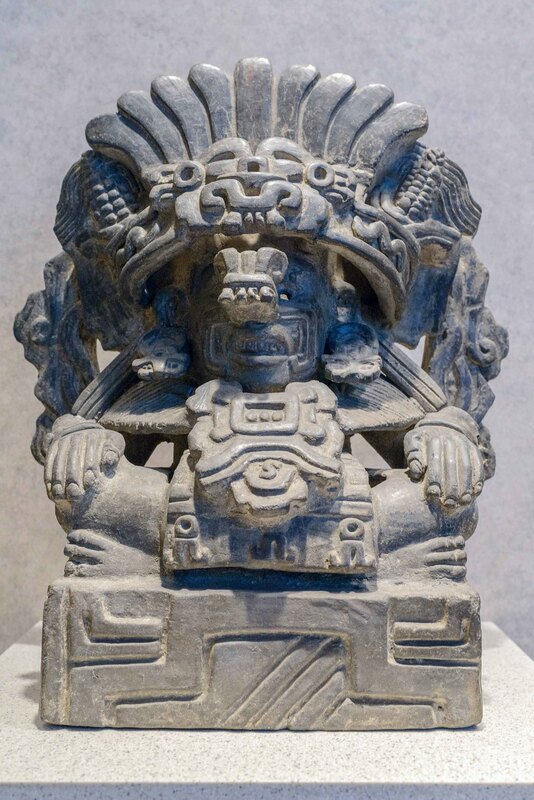 On the underside was embossed represent the god Tlaloc adopting the crouched position of the God of Earth, Tlaltecuhtli . The figure is immersed in a water world, surrounded by snails, fish and swirls of water, among others. Brasero warrior. The picture painted and modeled in this splendid brazier is a dead eagle warrior, as shown by the stark face and wearing ornaments like ear-shaped hands and cut necklace hands and hearts as carrying deities death. 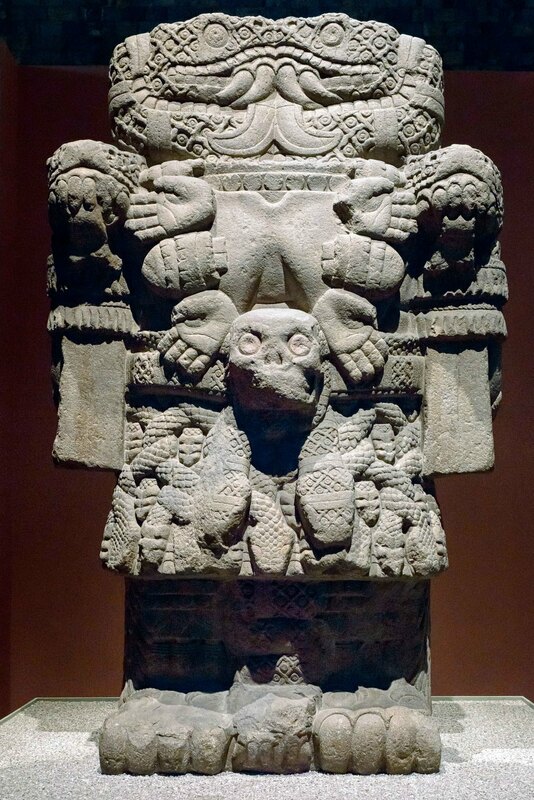 The Aztec goddess of Coatlicue ("snakes-her-skirt"), mother of earth, from the back side. 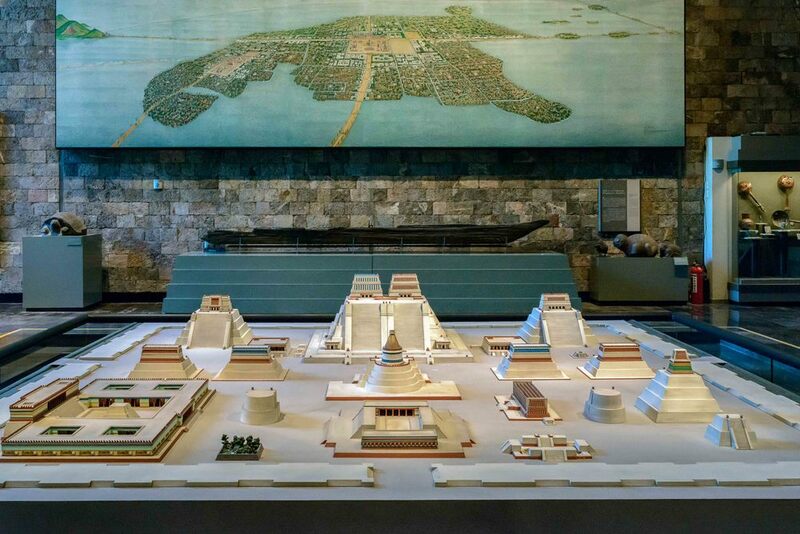 Tenochtitlan mural in the back and a model of the main temple complex, the Templo Mayor in the front. 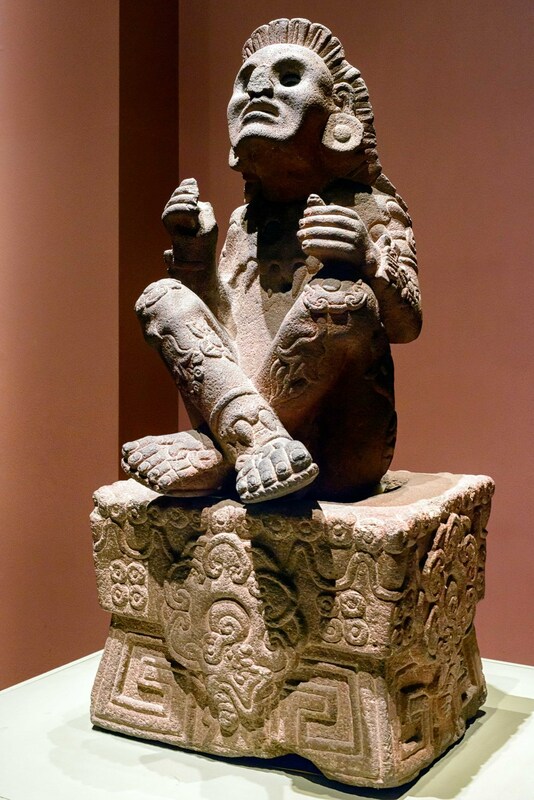 Xochipilli was the god of art, games, beauty, dance, flowers, and song in Aztec mythology. His name contains the Nahuatl words xochitl ("flower") and pilli (either "prince" or "child"), and hence means "flower prince". As the patron of writing and painting, he was called Chicomexochitl the "Seven-flower", but he could also be referred to as Macuilxochitl "Five-flower". Brasero Chicomecoatl. 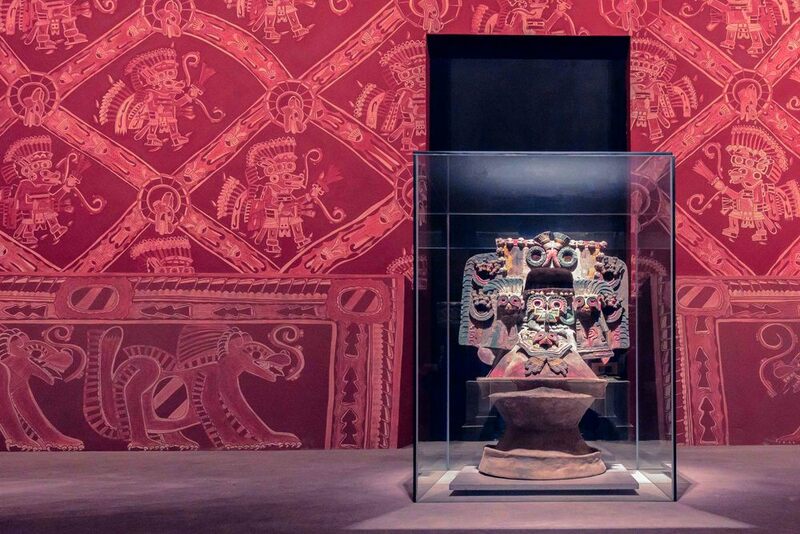 The red dress and headdress striking as a large cardboard box decorated with rosettes at the ends, identifies the image of this brazier Chicomecoatl, "Seven Serpent", the goddess of ripe corn. Ehecatl Atlantean's. 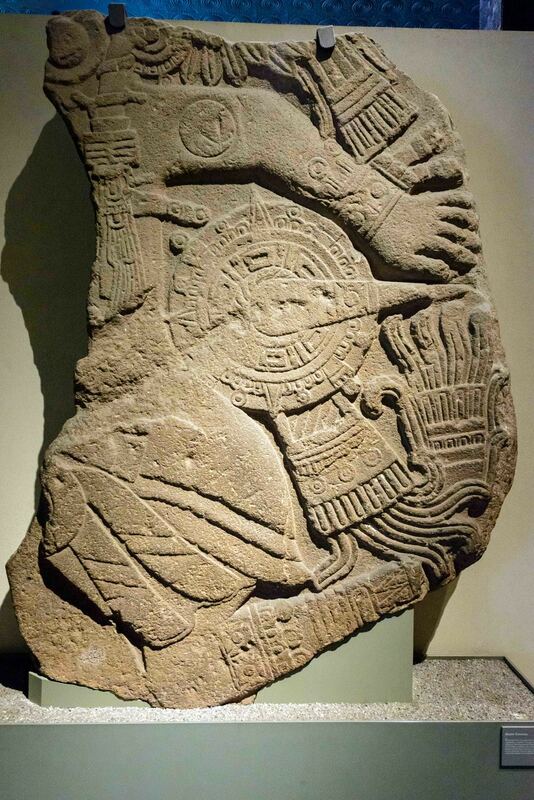 Excavations of the ladders, behind the Cathedral in Mexico City, this pair of Atlantean's with the identity of the god of wind was found. Death Complex. From excavations in 1917 in the Pyramid of the Sun, these two bands knotted sculptures denote a mooring for death or for sacrifice; both are of Teotihuacan manufacturing. 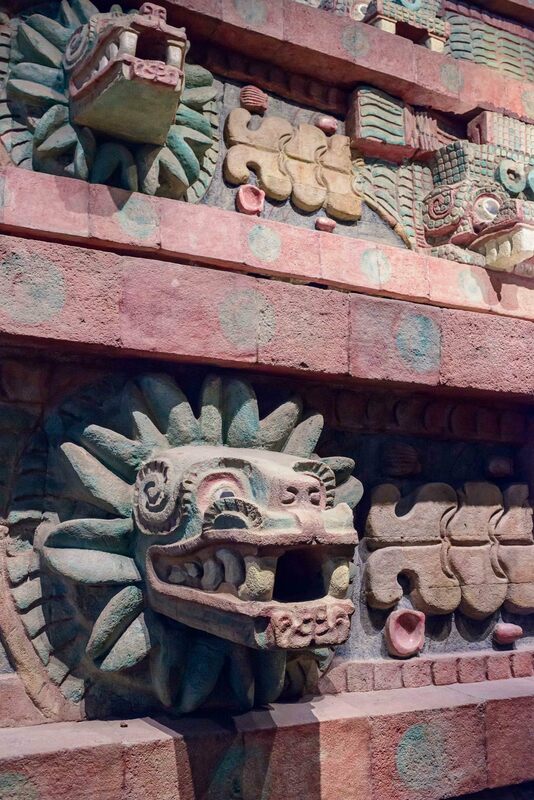 Detail of the pyramid of the Feathered Serpent, showing the alternating "Tlaloc" (left) and feathered serpent (right) heads. Note the long undulating feathered serpents in profile under the heads. 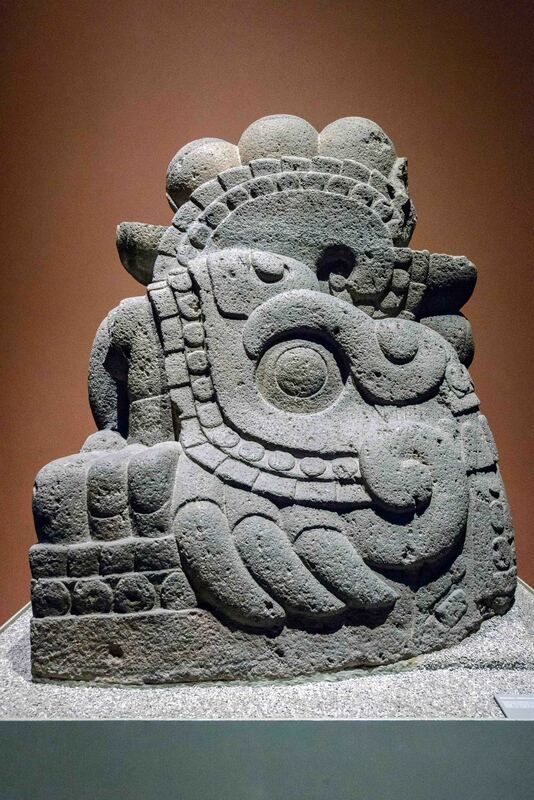 Under each row of heads are bas-reliefs of the full feathered serpent, in profile, also associated with water symbols. 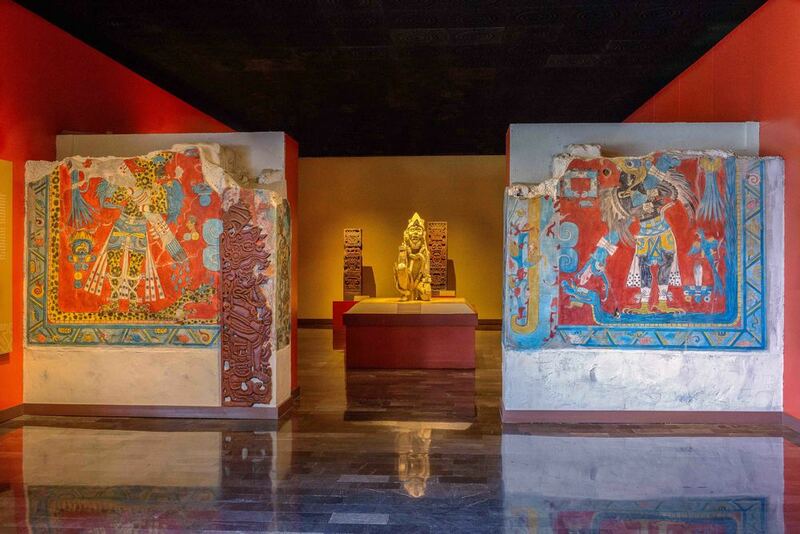 Overview of the murals from the compound of Tepantitla, Teotihuacan. The braziers, presented in rituals and death ceremonies, were removed from their various applications moulded and placed in different orientations cadaver around the time of burial. 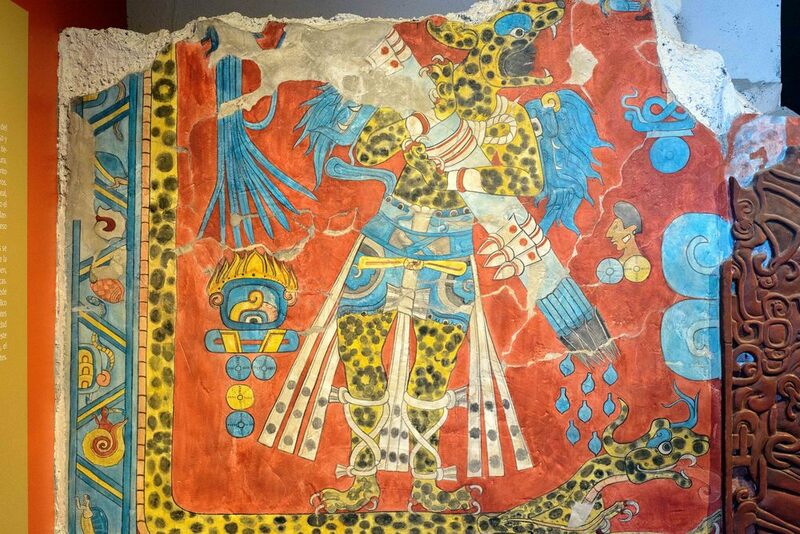 Mural Tlalocan (Great Goddess of Teotihuacan) from the compound of Tepantitla. 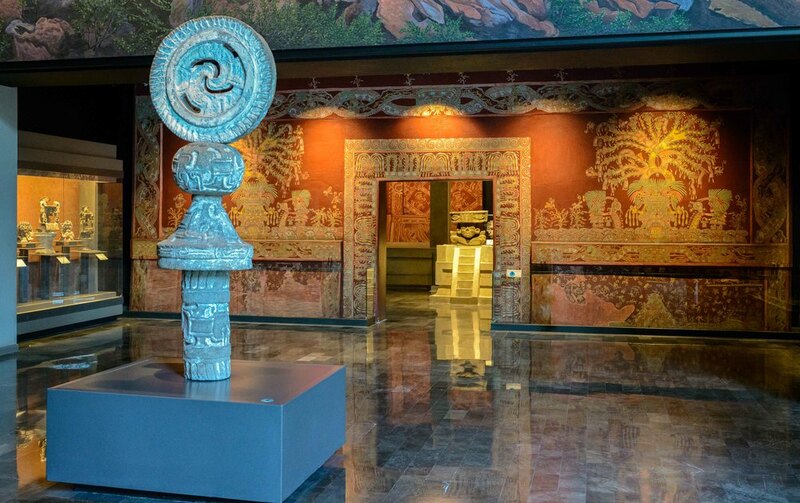 The room with the frescos from Tetitla, Atetelco and Tepantitla, compounds around the center of Teotihuacan. In the middle the sculpture of the fire god Huehueteotl. 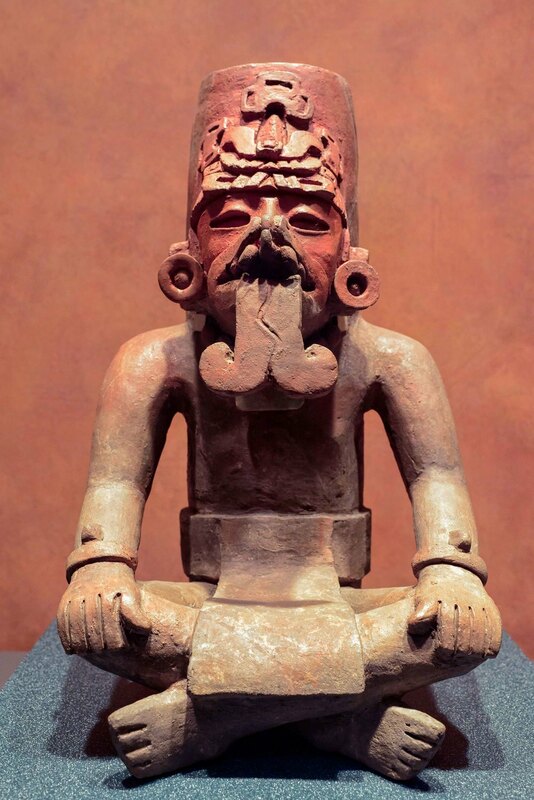 The sculpture of the fire god Huehueteotl, with wrinkled face and toothless, hunchbacked in a sitting position. Portico 1 of Atetelco, Teotihuacan. This is a reproduction of the portico 1 of the residential zone, whose symbolic content in full referred us to an issue of military character. 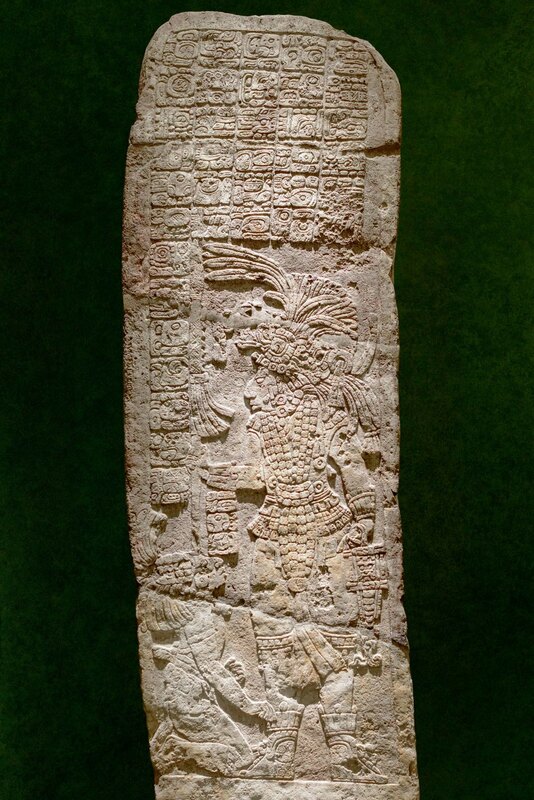 Reproduction of Stele 31 of Tikal, which reveals that the area of Teotihuacan had contact with Mayas during the Early Classic ( 250-650 bC ). This figure shows the contact with the area of Oaxaca. The neighbourhood Qoaxaqueno Tlailotlacan in Teotihuacan, evidence for the presence of ethnic groups from Zapotec, mainly devoted to trade, to the extraction and production of mica stucco. 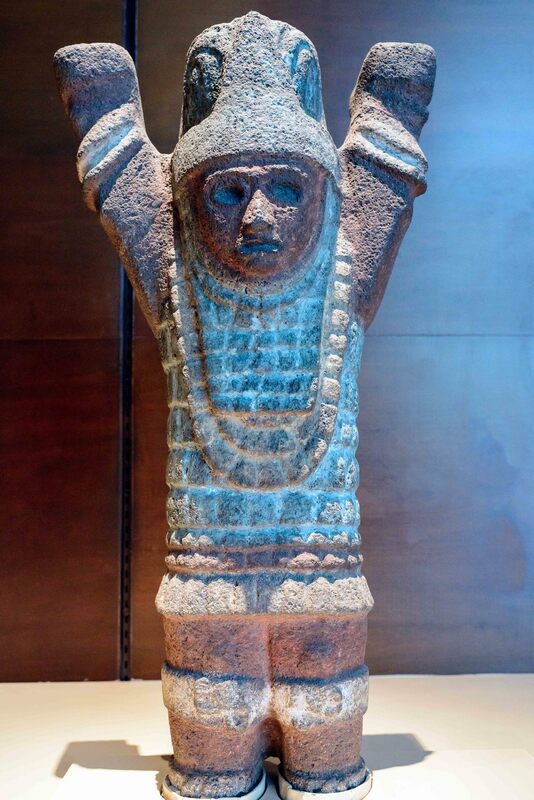 Tlaloc was an important deity in Aztec religion; a god of rain, fertility, and water. Braziers. Within the city found a variety of workshops , one of them dedicated to specialised shaped braziers and its various production applications. 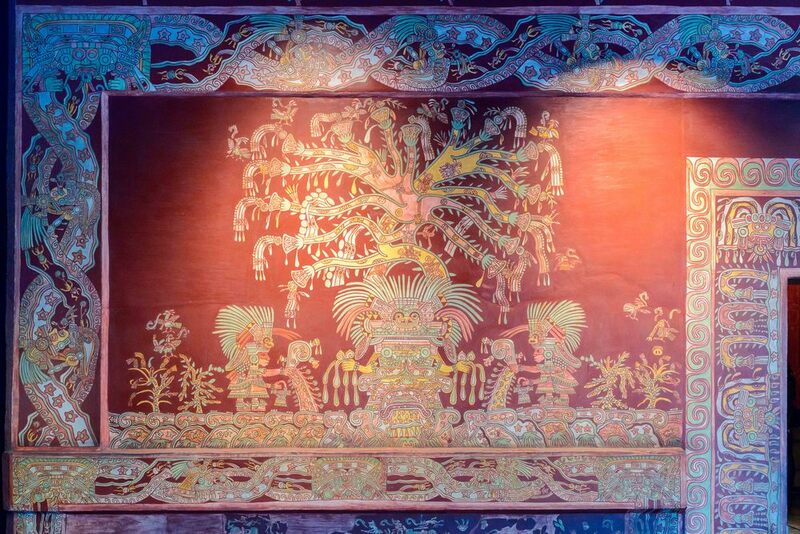 Cacaxtla conserves the oldest mural painting featuring a human figure and symbols from other cultures (Teotihuacan, Maya, Mixtec and Totonaca). 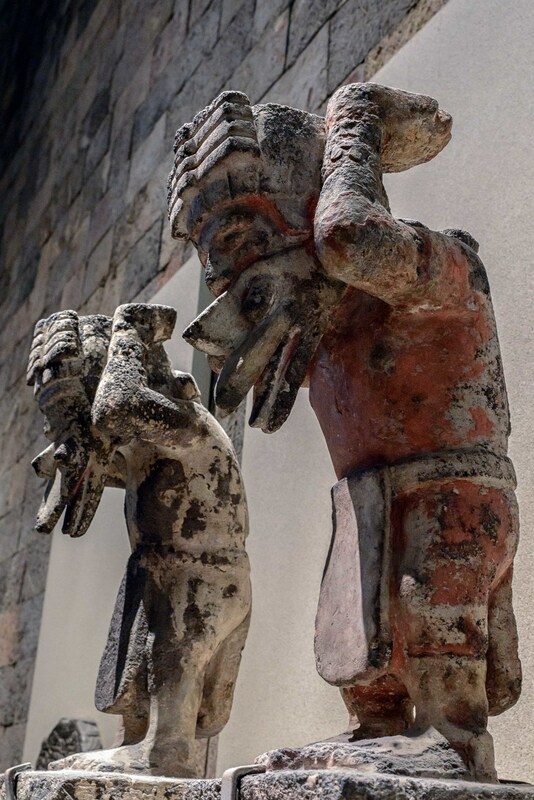 These paintings portray the bird man and the feline man, possibly ruler - priests of the Olmecs Xicalancas who inhabited Cacaxtla between the years 600 and 900 AD. 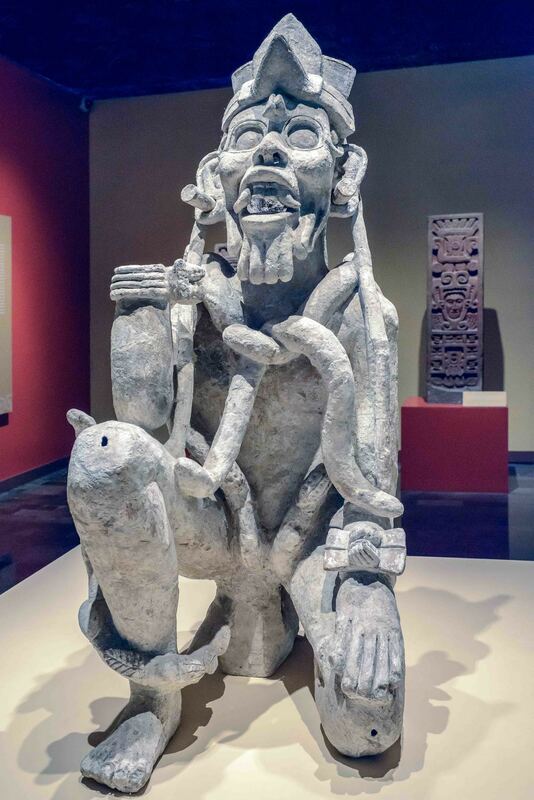 The bird man is associated with Quetzalcoatl, the generous deity who taught people the arts and agriculture. 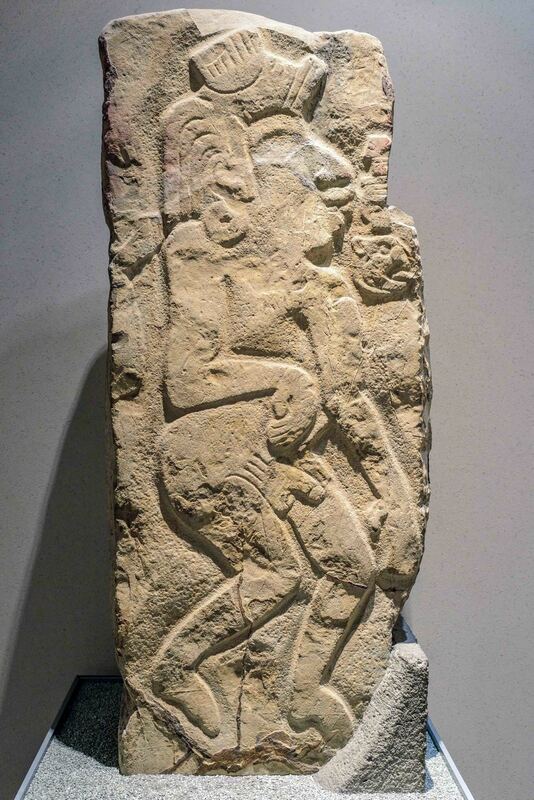 Side view of the the bird man, the generous deity who taught people the arts and agriculture. Side view of the feline man, with the rains that fertilize the earth. Solar Disk, Tula. This work is known as a sun disc. 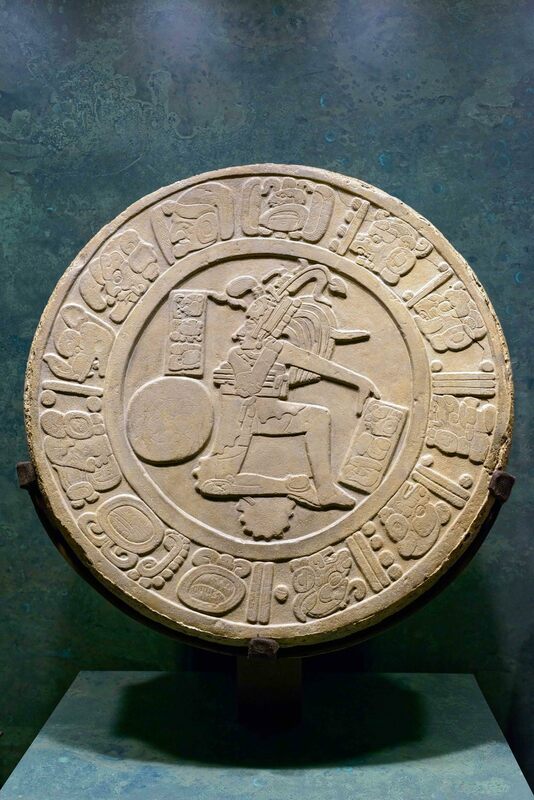 The solar disc between the Toltecs were linked with the war, as they were part of the military uniform. In front Chac-Mool, Xlaxcala. 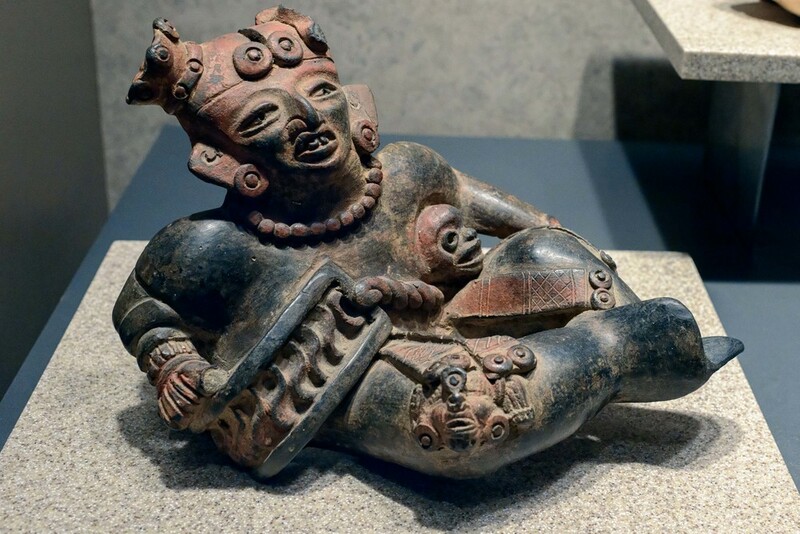 This sculpture, known as Chac-Mool, carrying a container on his belly in which offerings were put. It has been postulated that these characters are fallen warriors in battle and emissaries between man and the gods. Tula: Home of the Atlantes. 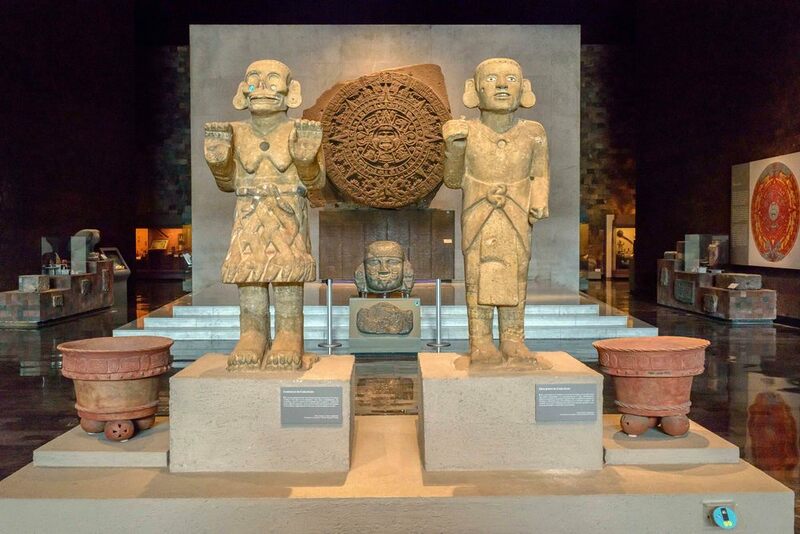 After the fall of Teotihuacan, the home of the Atlantes, also known as the sacred city of Quetzalcoatl, was the most important settlement in Central Mexico. View of the room with artefacts from Tula. Miniature Atlantean, Tula. This worrior held an altar where offerings were placed. The "Breastplate of Tula" recovered in room 2 of the palace Quemado, in the early nineties of the twentieth century. In the front the fragment of an Atlantean column. In the back the ritual game. Recovered in the late eighteenth century, this piece of basalt is decorated with two pairs of snakes. Alabaster from Xochicalco. Alabaster was very precious and served to make pottery and mask. Head of a women, Xochicalco. Pots and Tlalco bottles. 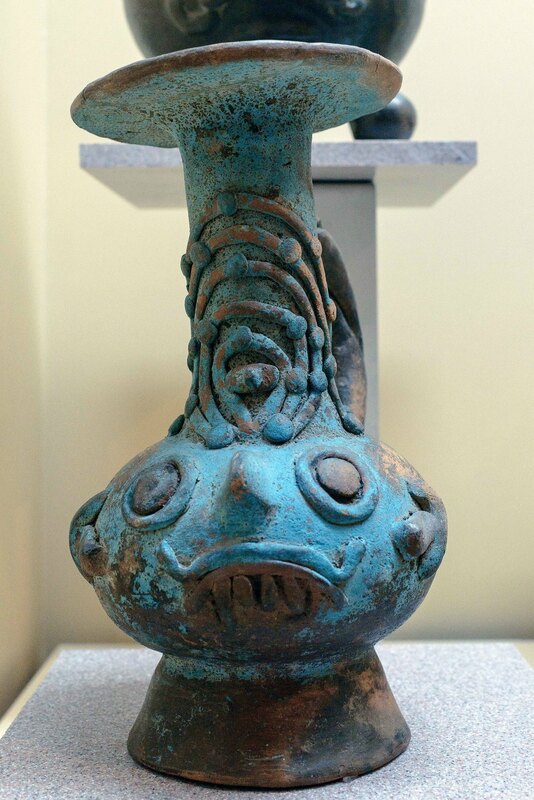 The god Tlaloc was represented in different vessels, such as pots and jugs. Some pots retain traces of their original polychrome, highlighting the blues. 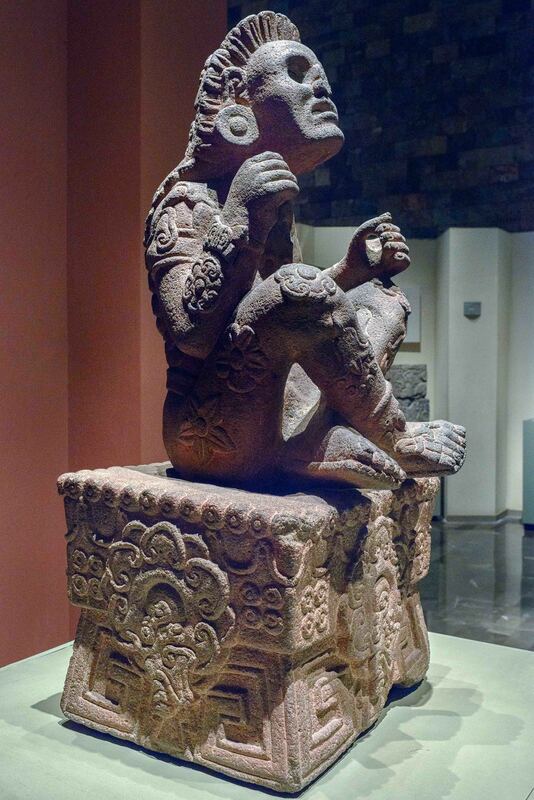 This incense burner Mexica was recovered in the ballgame II of Tula, Mexico. 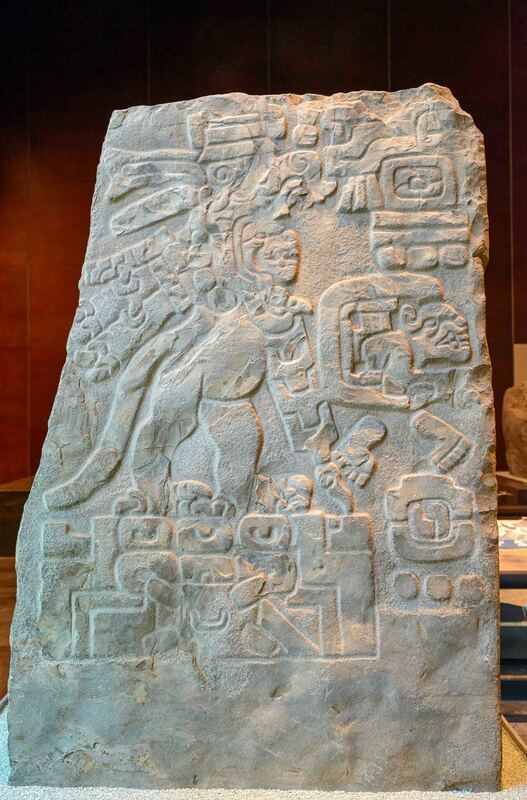 Stele 10, Wall basal north of the south platform, Monte Alban, Mexico. Stele 11, North Platform, Building "E", Monte Alban, Mexico. Urn. 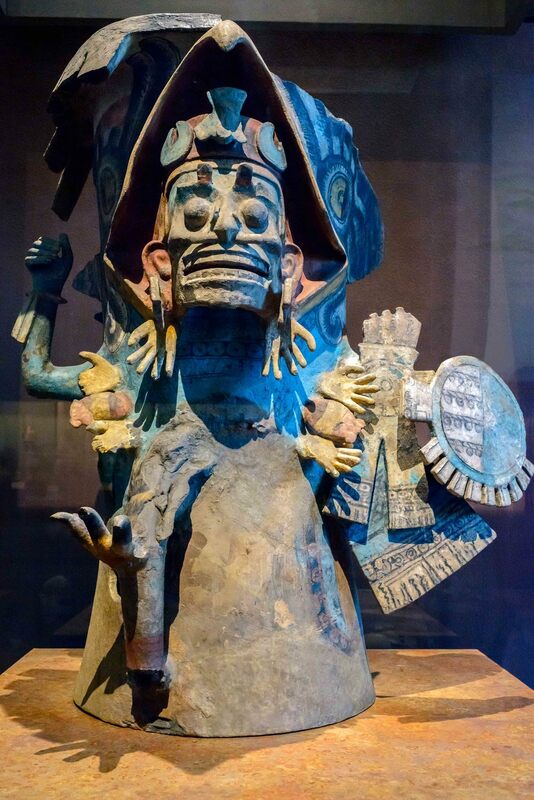 This piece shows a strong Mayan influence, apparent in the facial features depicted; an apparent cranial deformation accentuates a headdress which represents the deity known as ave del pico ancho. Tomb 77, Monte Alban, Mexico. View with Danzantes from building "M", Monte Alban, Mexico. Stele with Danzante, Monte Alban, Mexico. Urn from Tumb 137, Monte Alban, Mexico. Zapotec priests, Monte Alban, Mexico. 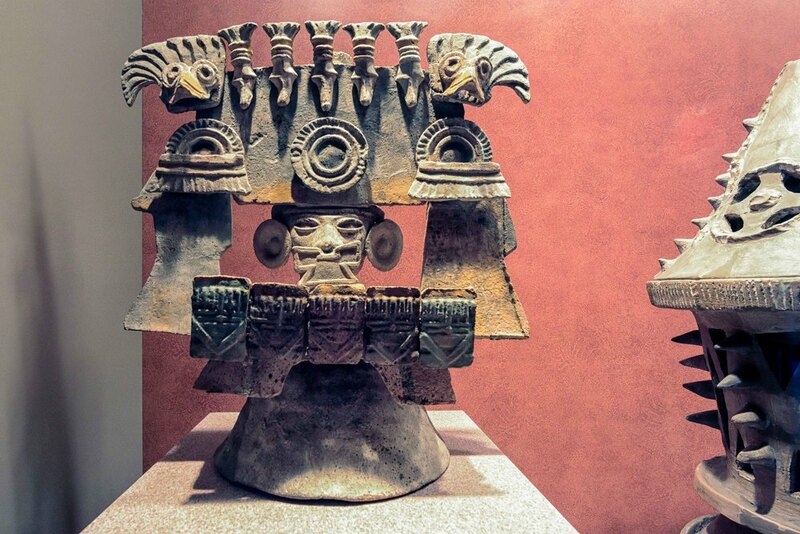 View over artefacts from the Valley of Oaxaca, Mexico. Urn with jaguar head, Monte Alban, Mexico. 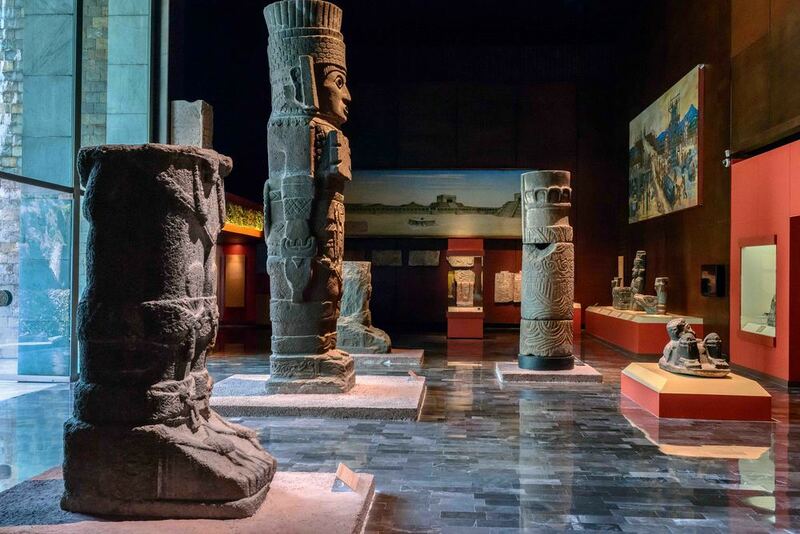 View over the exhibition with artetfacts from Monte Alban, Mexico. Above "Head of life and death", Monte Alban, Mexico. View over the model from Monte Alban, Mexico. Replica of Tomb 104, Monte Alban, Mexico. Stele with "propagandas of power", Monte Alban, Mexico. 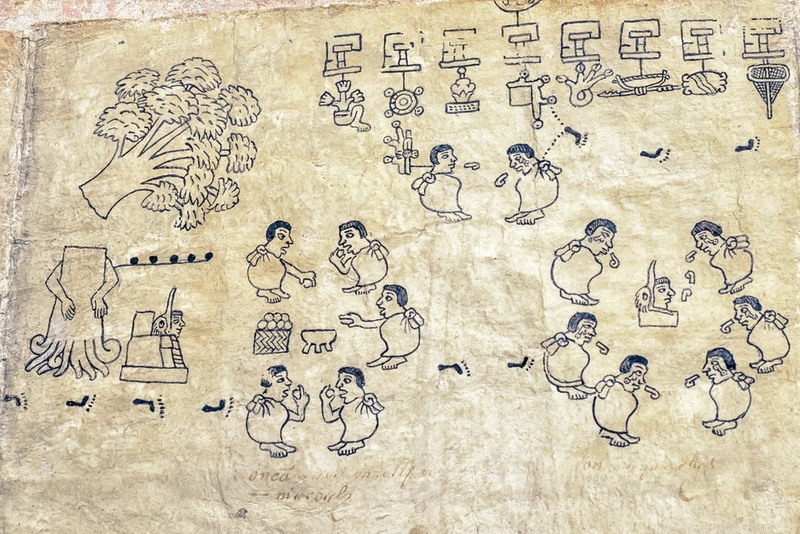 The divine lords creating the universe, Tonina, Chiapas. 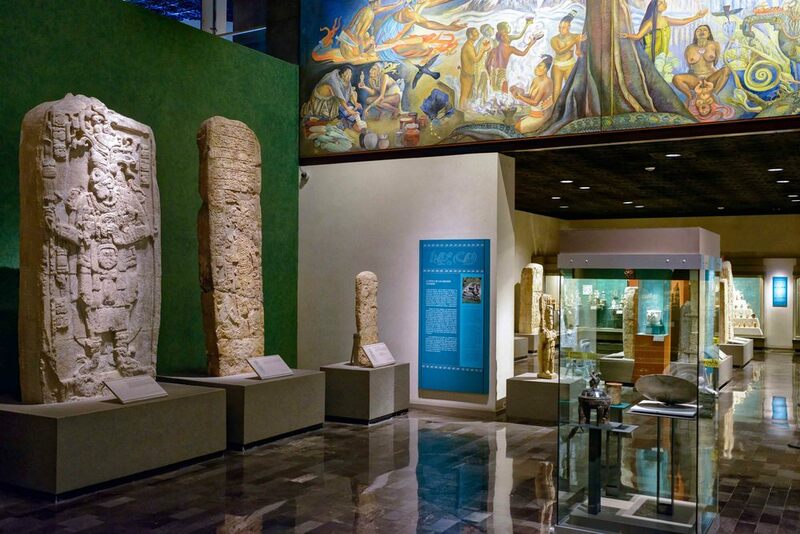 Main room of the Maya section of the museum. 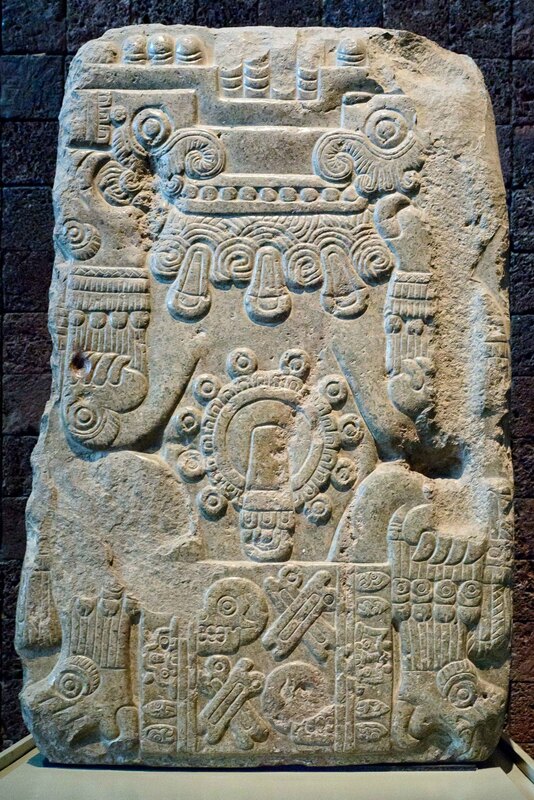 Stele 18 of Yaxchilan, Chiapas. Sele 51 of Calakmuk, Campeche. Lintel 43 of Yaxchilan, Chiapas. View from the main Maya room. Marker ballgame. On this record figure a ballplayer appears in an attitude of hitting a ball with this hip. Chinkultic, Chiapas. Deities. 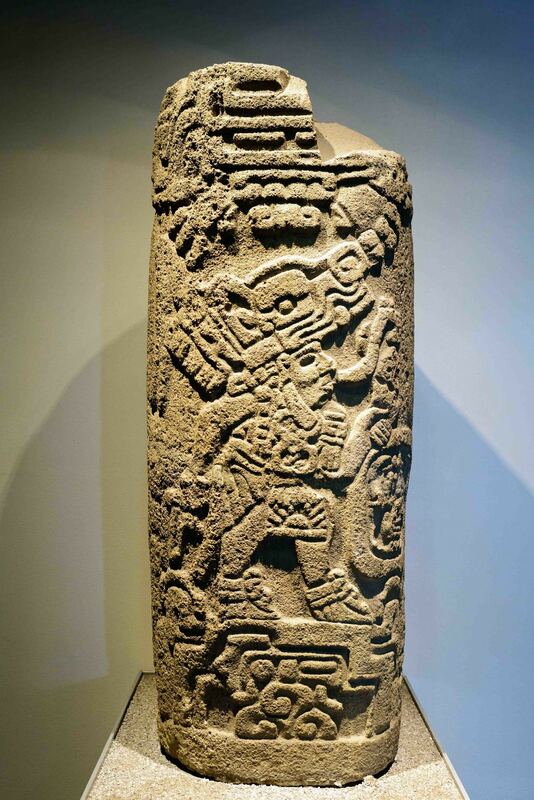 The Maya gods were elated with the trades , such as traders , warriors, farmers each of the periods and numerals, although his cult was almost exclusively the priestly group. The funeral effects of Pakal the Great. Entrance to the stone coffin of Pakal the Great. 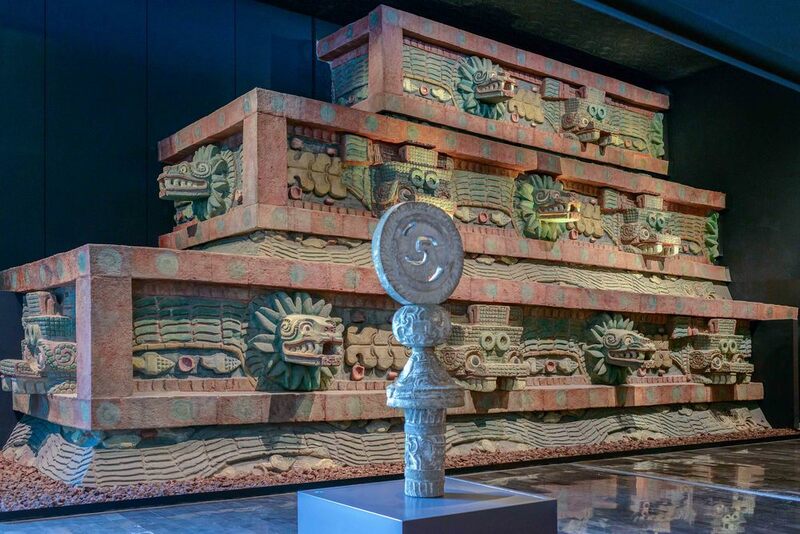 The monolithic sarcophagus of Pakal the Great. View inside the Maya section. 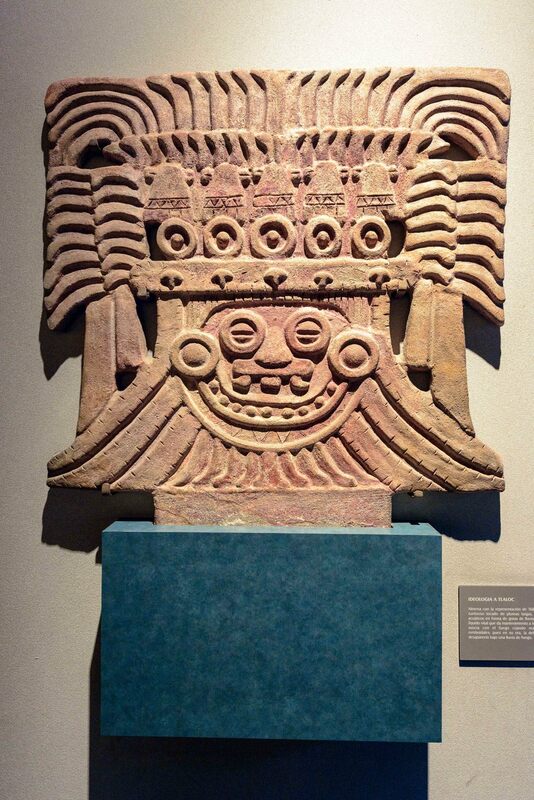 Large mask of Chaac, Kabah, Yucatan. Stucco frieze (fragment), Placeres, Campeche. Building 2 of Hochob (reproduction). Building 1 of Ek Balam, Yucatan (reproduction). 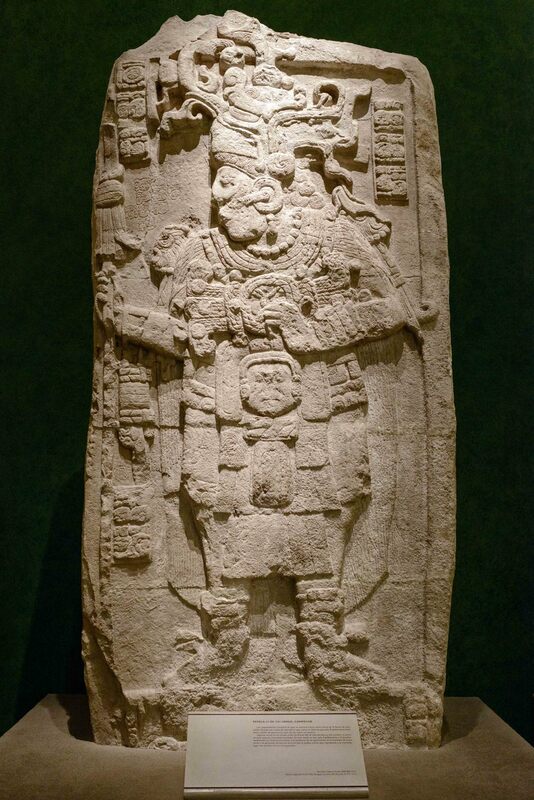 Stele E of Quirigua, Guatemala (reproduction).